From farmers and moonshiners racing "strictly stock" family sedans on treacherous dirt tracks, to a high-tech, high-stakes sport with 70 million fans, the story of NASCAR is a uniquely American tale of ambition, vision, and fast, fast cars. Ladies and gentlemen, start your engines—this is the story of NASCAR! We bottled the intensity, passion and excitement of this great American sport into a roaring 300-foot exhibit. 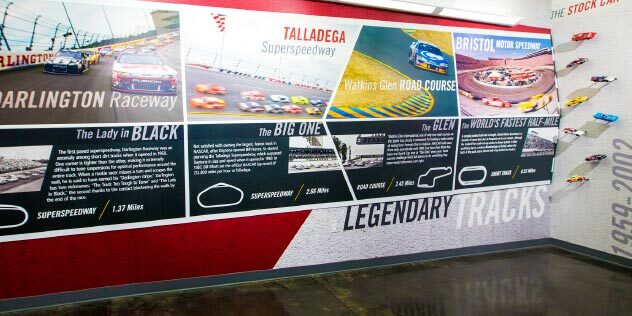 Incorporating video, photography and a stunning set of authentic race-hardened professional stock cars, our exhibit has been described by die-hard fans as rivaling NASCAR's own museum in Charlotte, North Carolina. 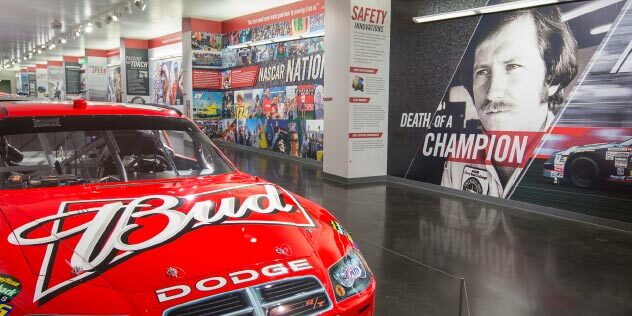 There is something for everyone to connect with in this exhibit—from car and race enthusists to general sports fans alike.